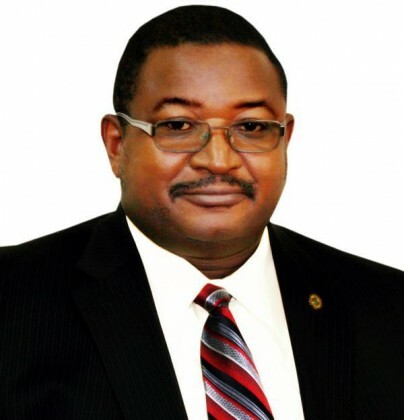 The Economic and Financial Crimes Commission, EFCC, on Thursday, March 9, 2017 asked Justice Ahmed R. Mohammed of the Federal High Court to strike out a fundamental rights suit brought by Andrew Yakubu, former Group Managing Director, GMD, Nigerian National Petroleum Corporation, NNPC, against the Commission for lack of jurisdiction. In a dramatic turn, Yakubu, in a suit filed through his counsel, Ahmed Raji, SAN, is challenging his detention since February 8 and demanding the enforcement of his right to dignity of person, personal liberty, fair hearing, freedom of movement, private and family life and to acquire own property. Aside praying the court to shield him from further investigation by the EFCC, he is also demanding a sum of N1billion as cost against EFCC and Attorney-General of the Federation, AGF, who is the second respondent, for the violation of his aforementioned rights. Raji, while adopting his written address urged the court to grant all the reliefs sought by the Applicant (Yakubu). He stated that “the sum total of the relief sought by the respondent is the release of the Applicant/Respondent as the investigation is still going on”. Though, Raji admitted that the EFCC can investigate anybody, he, however, said such should not be an excuse for unwarranted detention especially in a situation where at the end of trial the person may not go to jail. In his preliminary objection, Johnson A Ojogbane, Counsel to EFCC told the court that it lacked jurisdiction to hear the suit. He argued that “all the facts relevant to the Applicant/Respondent’s application took place in Kano State which is outside the jurisdiction of the Federal High Court Abuja”. “It is not in doubt that, the acts leading to this action filed by the Applicant/Respondent all occurred in Kano. He was never invited to the Commission’s Head Office in Abuja and never came to Abuja in respect of the instant case. In view of this, the Federal High Court lacks territorial jurisdiction to hear and determine the matter as the court must have both subject matter and territorial jurisdiction to entertain a case”, Ojogbane argued. On the Applicant’s prayer for human rights enforcement, Ojogbane argued that “the application is incompetent, incurably defective and therefore robs this honourable court of the jurisdiction to determine the suit”. He went on to add that the detention warrant that authorised the detention of the Applicant/Respondent was obtained in Kano State as the EFCC is investigating the allegations leveled against the former NNPC boss. On the other hand, the AGF, represented by T. A. Gazali brought an application asking the court for more time to regularize its processes that was filed out of time.